Elizabeth and Dale are no strangers to manufactured home living or DIY projects. 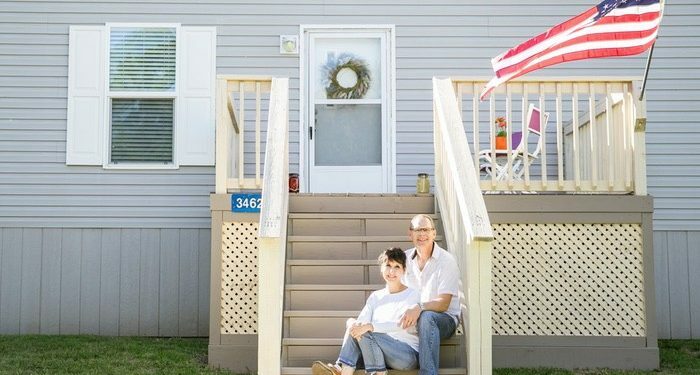 The Texas couple was in their fifth year of transforming their first manufactured home, a 1987 Bonnell single wide, into their dream home when a flood destroyed it in May of 2016. They didn’t let the flood wash away their dreams, though. 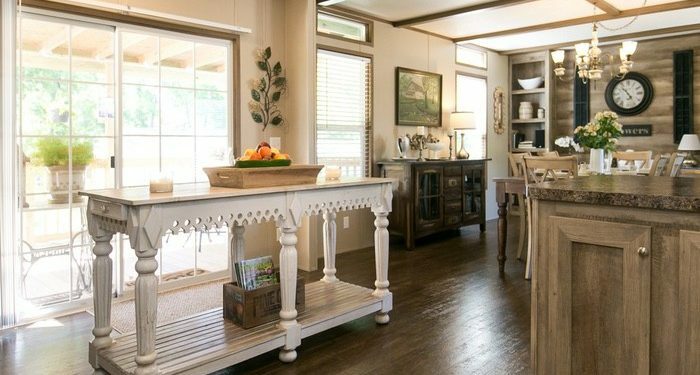 They purchased a new Clayton mobile home and have been busy transforming it into another gorgeous dream home. 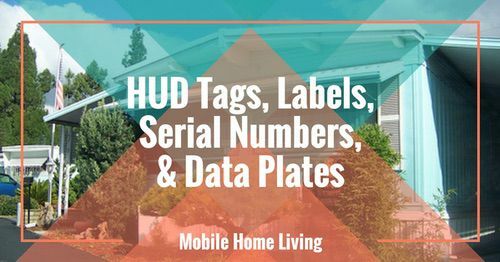 Luckily for us, this creative couple is no stranger to sharing their manufactured home journey online. 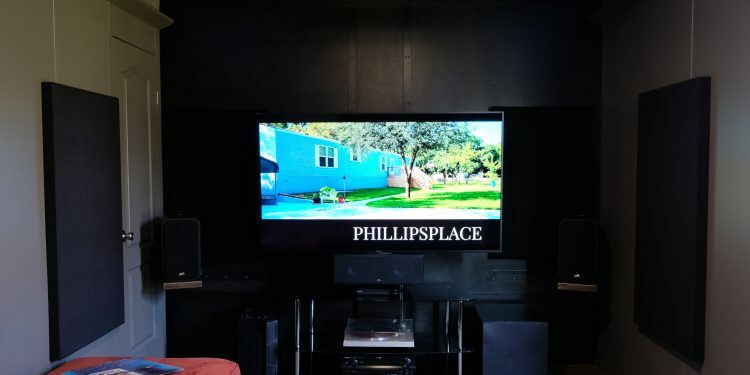 Elizabeth blogs about her projects at Phillips Place Renovation and was kind enough to share their first gorgeous mobile home with our readers. 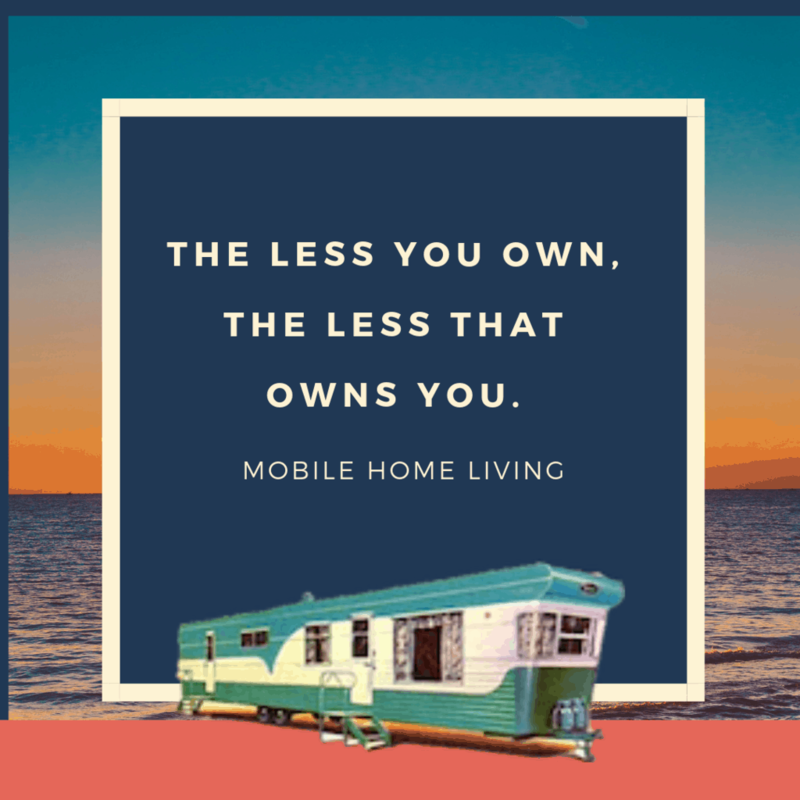 Now, she’s sharing some new tips on how to update a brand new manufactured home to fit your lifestyle along with some beautiful manufactured home decorating projects. 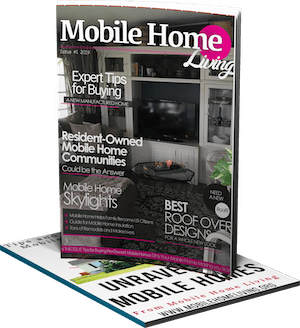 A recent article of ours, 10 Gorgeous Manufactured Home Models on the Market Today, takes a look at the Clayton mobile home model dubbed ‘the Anniversary.’ Ironically, that’s the model the Phillips’ decided to purchase after the flood destroyed their first single wide home. 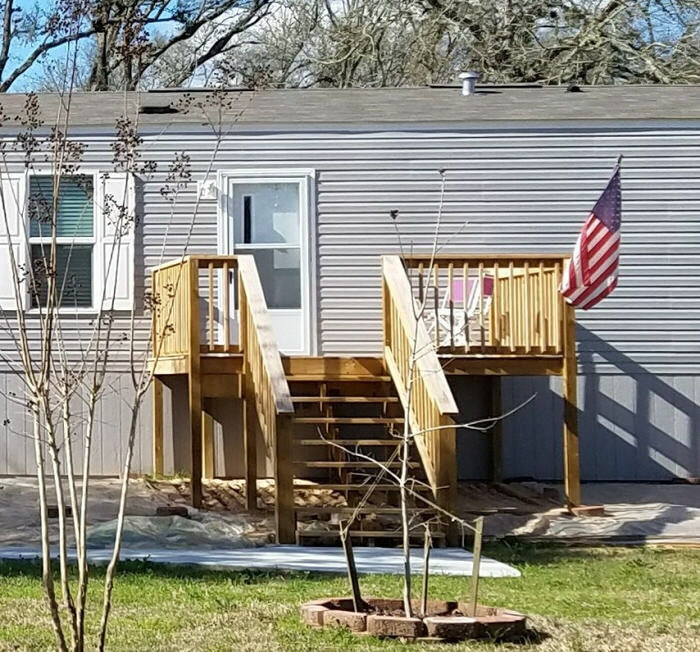 Since Elizabeth and Dale got ahold of the Clayton mobile home it looks completely different than the home you see on the builder’s website. 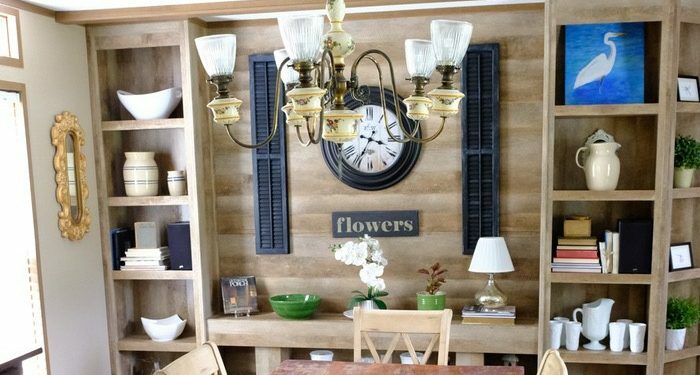 It’s truly amazing how different a manufactured home looks after a talented creative team gets their hands on it! Elizabeth decided to use the home’s layout differently than what Clayton designed. The living room is the couple’s dining room and the dining area is an extension for the kitchen. 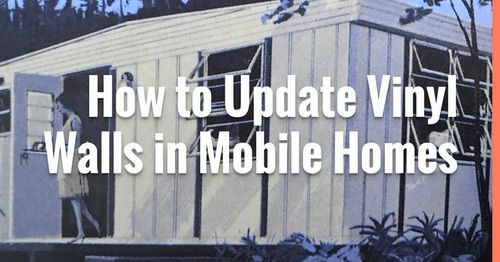 Why Update a New Manufactured Home? 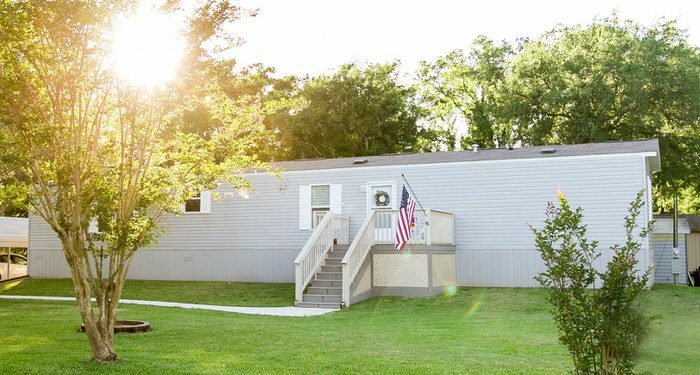 Unfortunately, a lot of homeowners are reluctant to make changes to their brand new manufactured home but why wait to make a home meet you and your family’s needs? 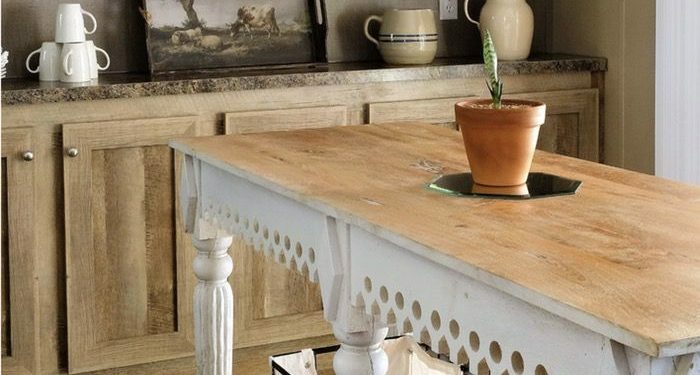 Of course, money is a huge obstacle for most of us but affordable projects like painting or replacing shelves can make everyday living easier and more enjoyable. 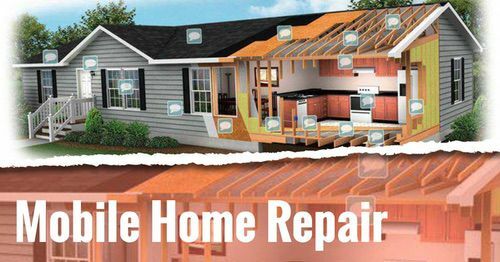 Building porches and decks are the most popular updates to new manufactured homes but there are other updates that can be done to make a home suit your needs and lifestyle better. For example, Elizabeth and Dale like movies so they built a complete media room in a spare bedroom. They also enjoy gardening and the outdoors so they added a front porch and created a beautiful garden area. Elizabeth and Dale created a living room/media room out of the third bedroom. This was a project that took some time because they wanted to make sure they made the most of the space. To read more about the details of turning a bedroom into a media room visit Elizabeth’s blog for tips and tricks for a successful project. 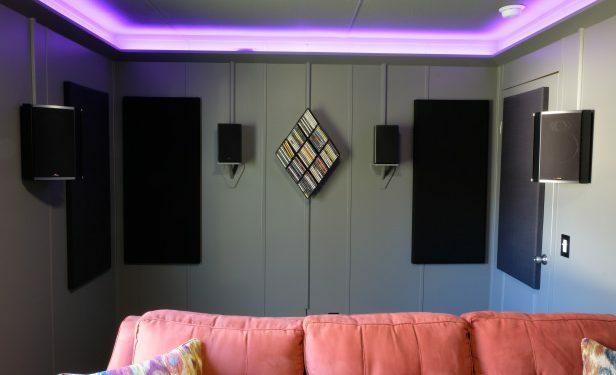 The LED string lights create an awesome vibe. 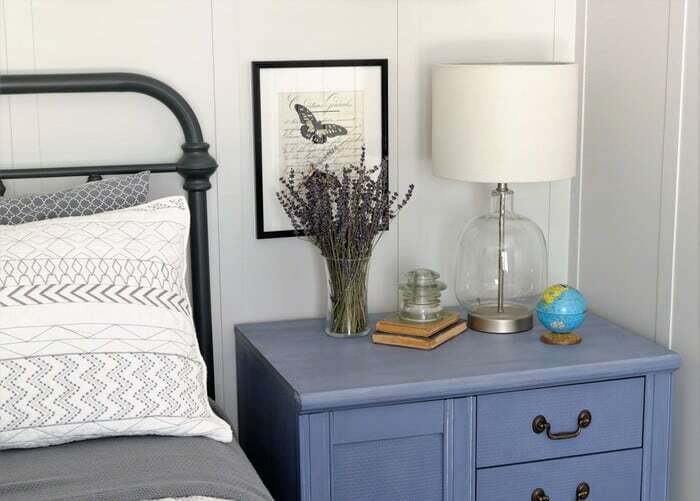 Elizabeth shares her nightstand update and master bedroom reveals here. She is such a talented designer! 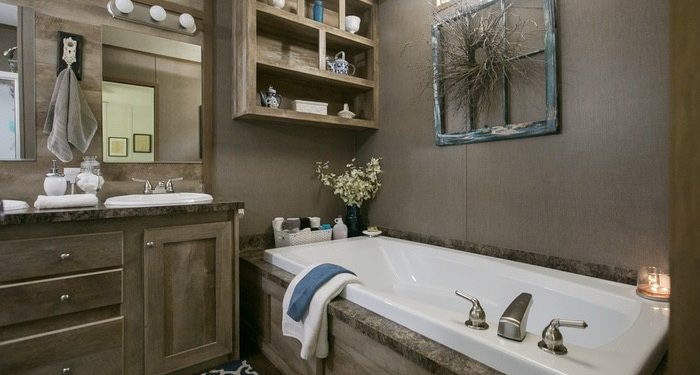 The master bathroom is just as gorgeous as the rest of the home. You can see more of it here. A small deck was added to the single wide during the install but it was lacking a finished look. It wasn’t holding dirt back well, either, so Dale graded it better and installed 2×10’s around the bottom. He then filled it in with some gravel and added small square lattice to the bottom. 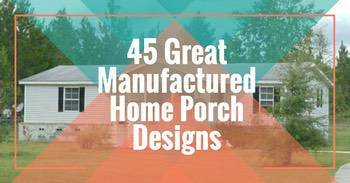 See 45 great mobile home porch and deck designs here. The porch before the update. Finally, he added 2×8’s between the steps to add support and keep any unwanted animals from being able to get under the porch. 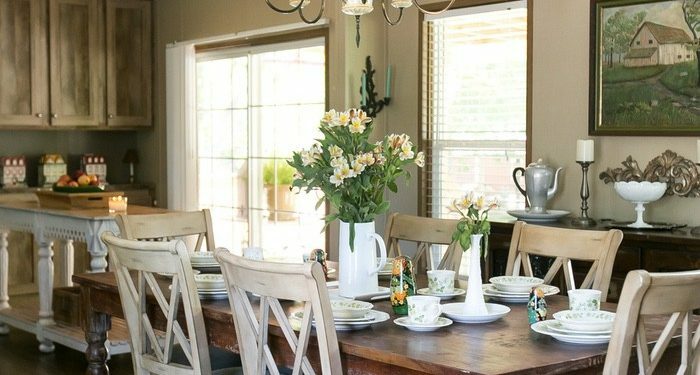 You can learn more about the couple’s front porch build here. The new home sits 2.5 feet higher than the 1987 single wide that was originally there. After the flood, the couple took every precaution possible to make sure the river could never reach their home again. 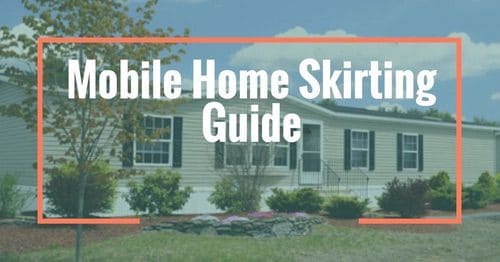 Learn about mobile home skirting here. 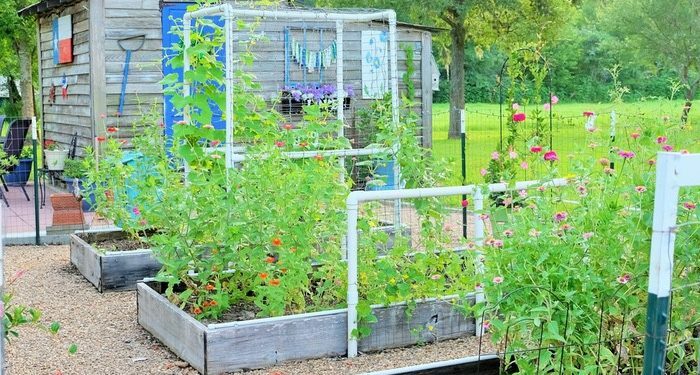 The raised garden beds are perfect for someone that loves flowers as much as Elizabeth. 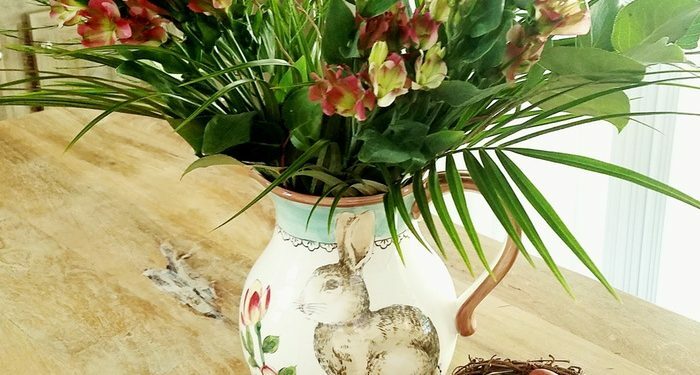 She tries to incorporated flowers into her home as much as possible. 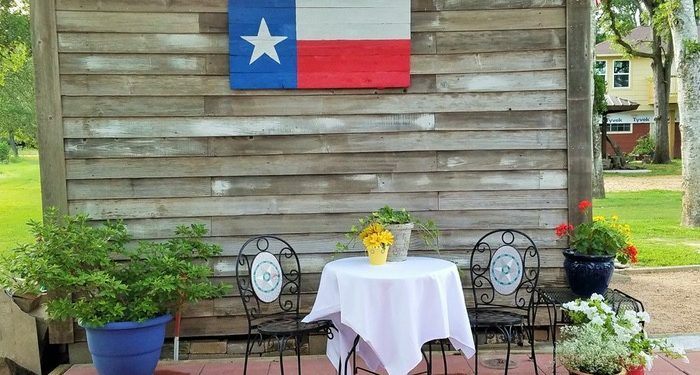 Last summer, the couple created an adorable little patio beside their shed. You can see the details here. 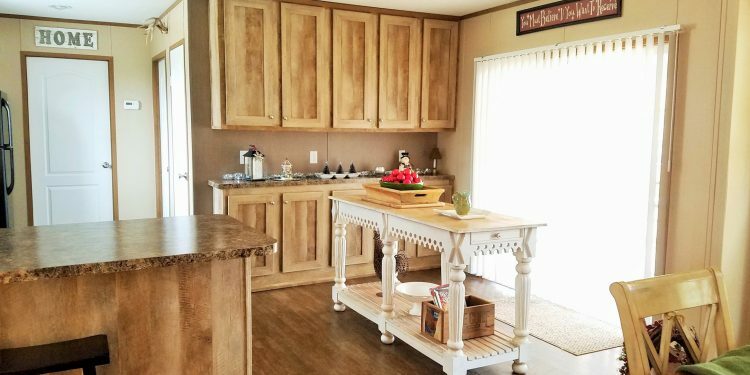 These are just a few of the manufactured home decorating projects and updates that the couple has tackled since moving into their new home. Big thanks to Elizabeth and Dale for sharing their home with us! 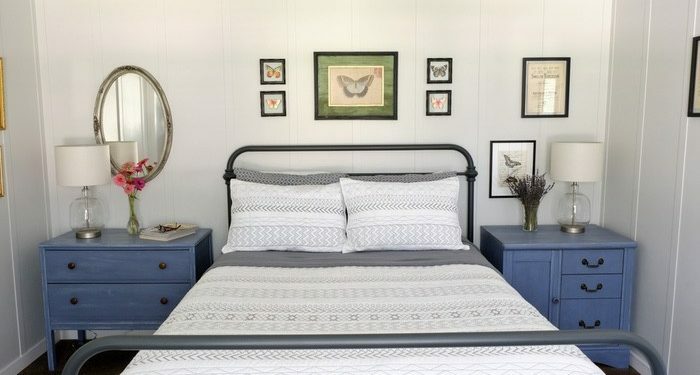 Be sure to check out their blog to learn how they update a new manufactured home to better fit their needs, share gorgeous manufactured home decorating projects and see some of Elizabeth’s beautiful photography. Her creativity is endless! Wow! Although the exterior is plain, the interior rooms are awesome! Beautiful house! Thank you Dina for your compliment. I agree the front is pretty plain, at this time we are a little shy about putting any type of landscaping because two years in a row our neighborhood has flooded. Thank goodness our home did not flood last year. We’ve lost some plants and shrubs due to the flood, hopefully in the near future we can do something that will give it a better curb appeal. I do appreciate your comment!